It was a very early start to leave Wales for the final time on this trip. 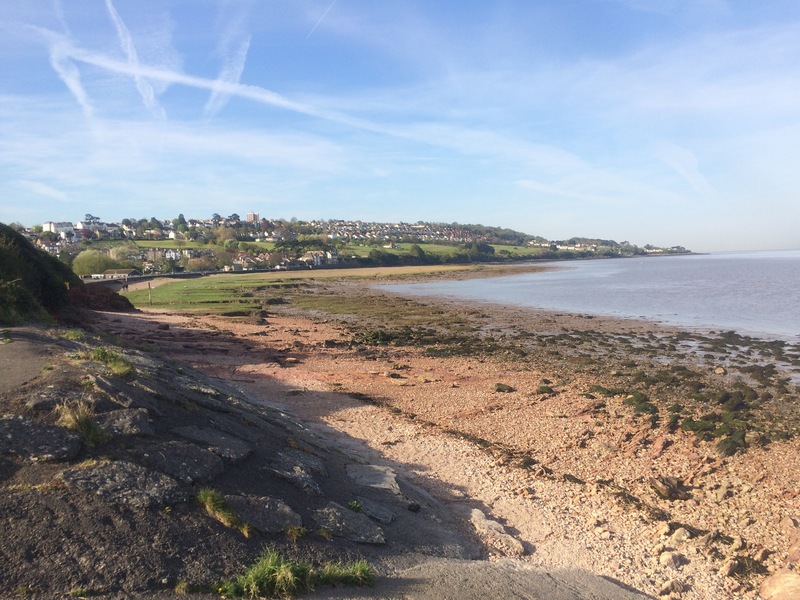 My watch said 7 am when Laura dropped me off near Portishead and I walked along a cycle path, past huge car parks for new cars, to Portishead Marina. 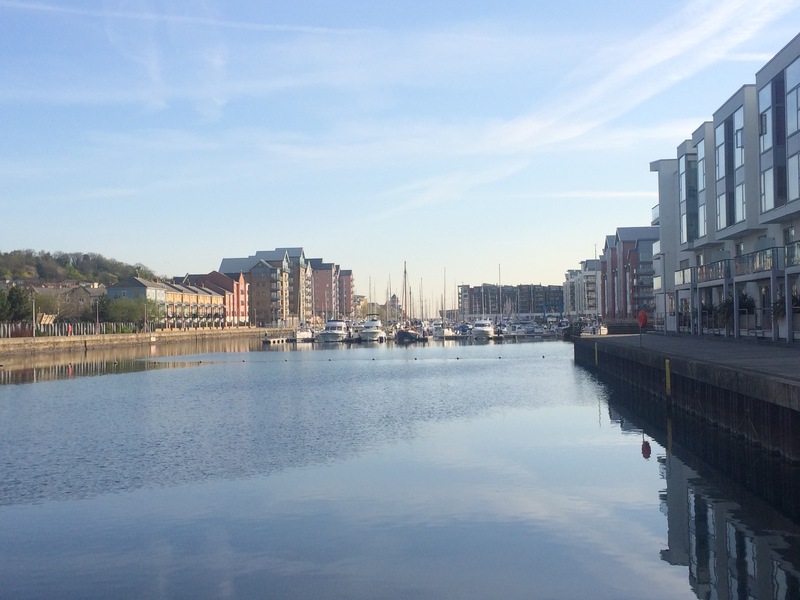 This used to be home to 2 coal-fired power stations; now it’s the home of luxury yachts and apartments. 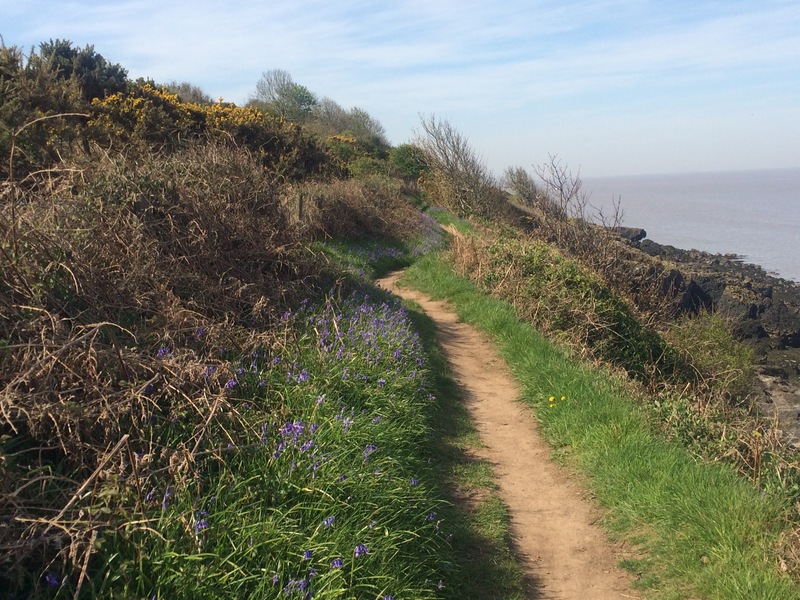 There was a path that skirted the edge of Portishead and went along the cliffs to Clevedon. This was a really nice walk. 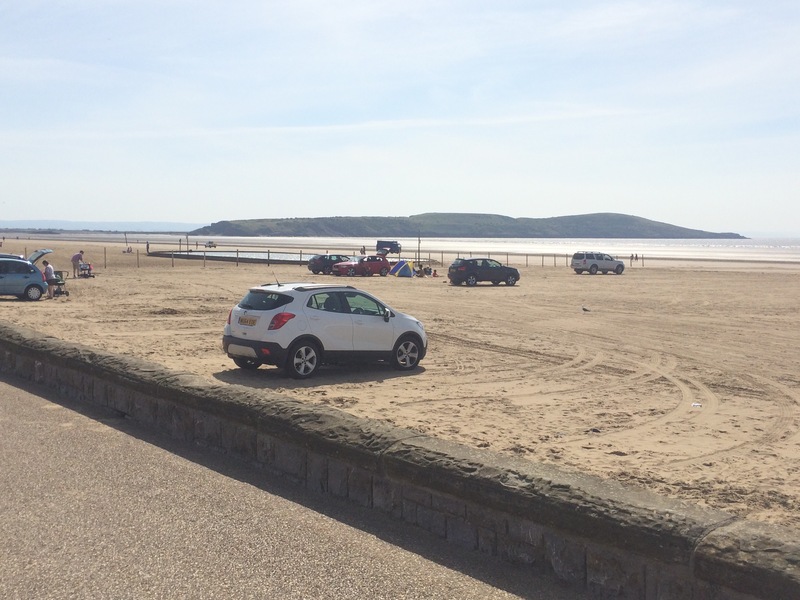 It was developing into a hot, sunny day so the views across to Wales were a bit hazy. There were lots of woody bits and plenty of bluebells. 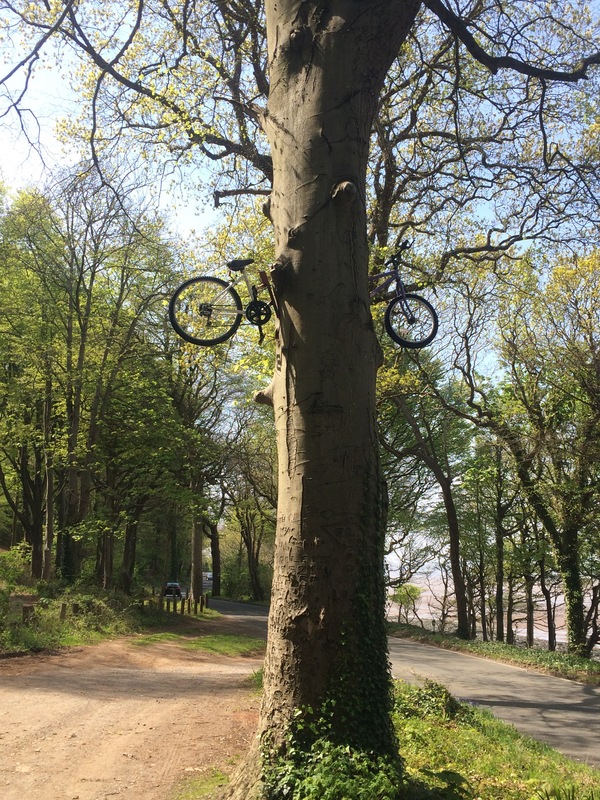 At one point I disturbed a deer and a buzzard. 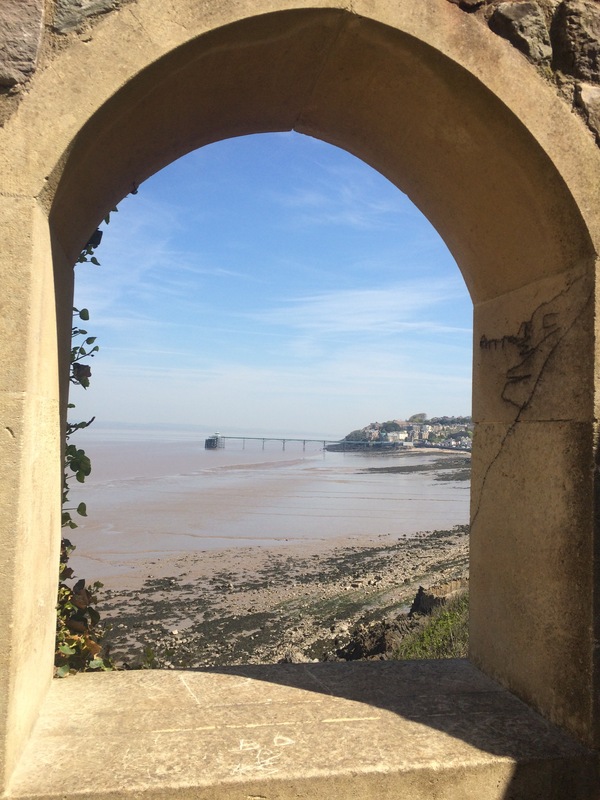 Clevedon had a look of Victorian elegance. I stopped at the first cafe for some refreshment and to use the facilities (North Somerset council charges to use its public toilets). 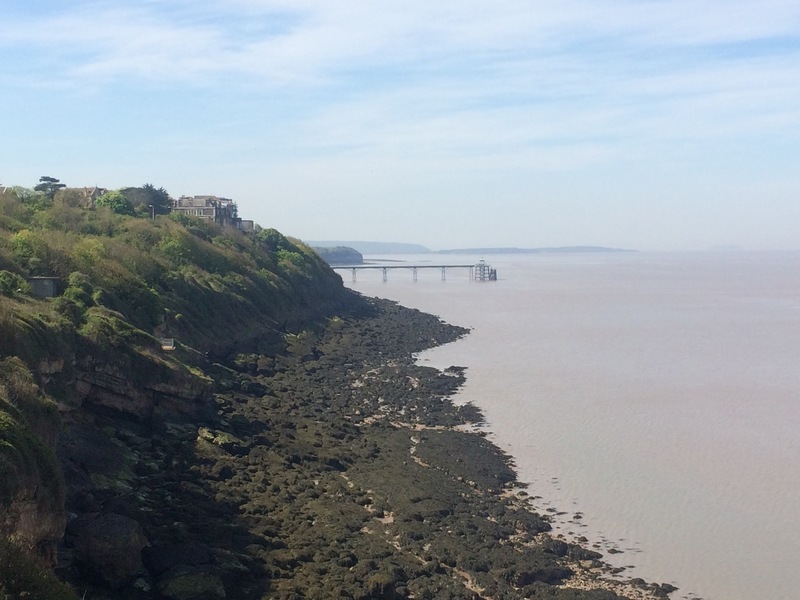 I had decided to get the bus to Weston-Super-Mare as there was no coast path from Clevedon and I would have to walk inland and cross the M5 twice to get there. That seemed too boring. This way I spent an hour wandering around Clevedon. 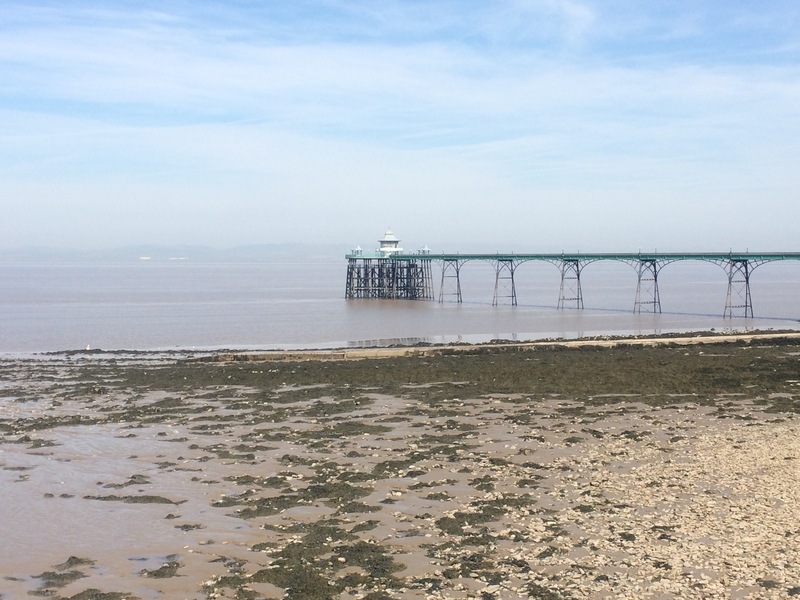 The Victorian pier was built in 1869 and Clevedon claims it to be one of the finest in England; it does look pretty. 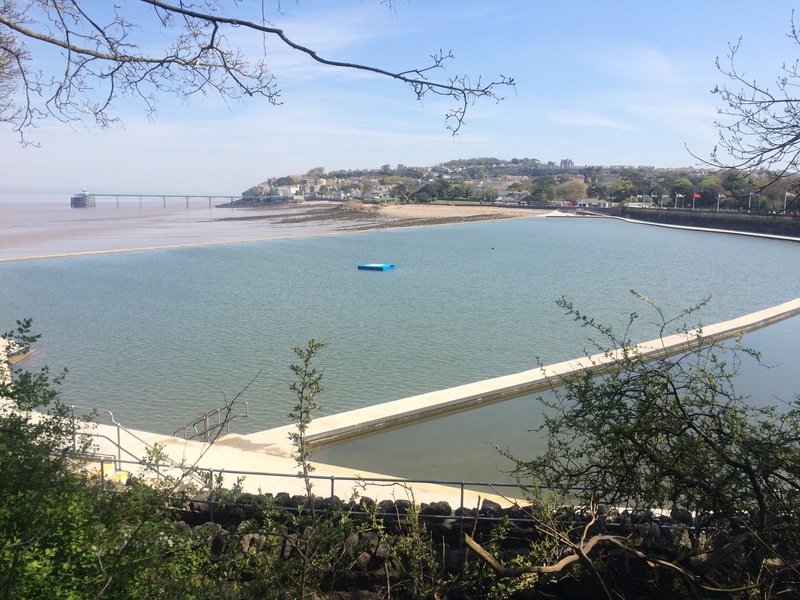 Further around the sea front is Marine Lake, a bathing pool built in 1929 and saved and refurbished last year. I suppose these lakes are the only places to bathe as I’m not sure it’s possible to do so in the estuary; it’s either mud flats or muddy water. On the small hill at the end of the bay is a lookout that was built mid-19th Century to view sugar ships coming up the channel from the West Indies. 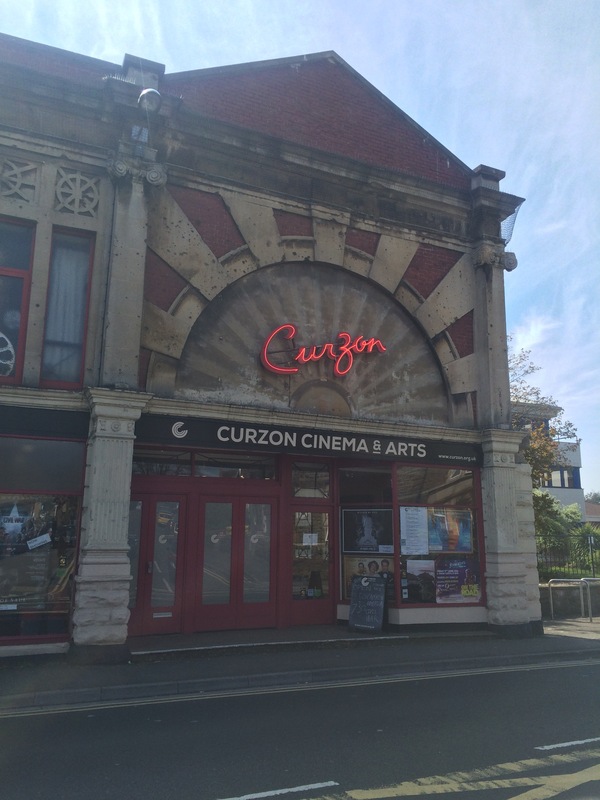 I caught the bus by the old Curzon cinema, reputedly one of the oldest continually-running cinemas in the world. 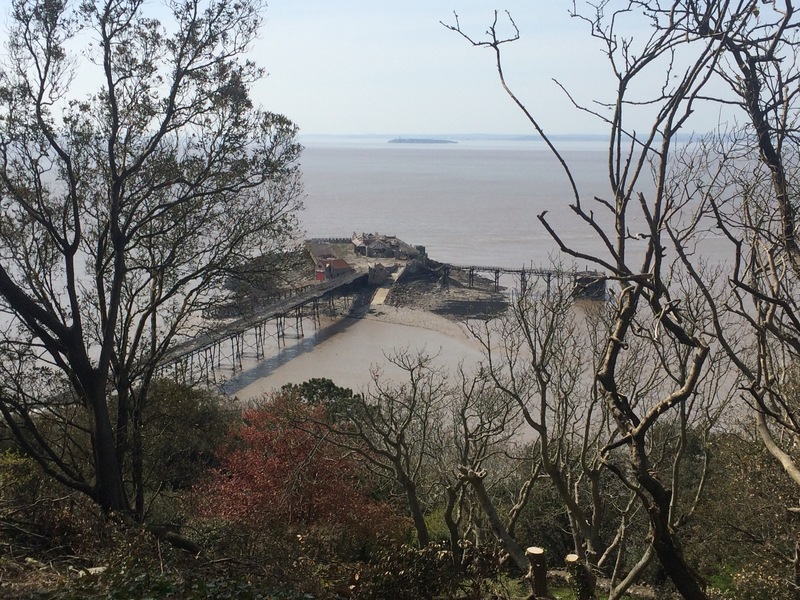 The only obvious road between Clevedon and Weston is the M5, so that’s the bus route between the towns. 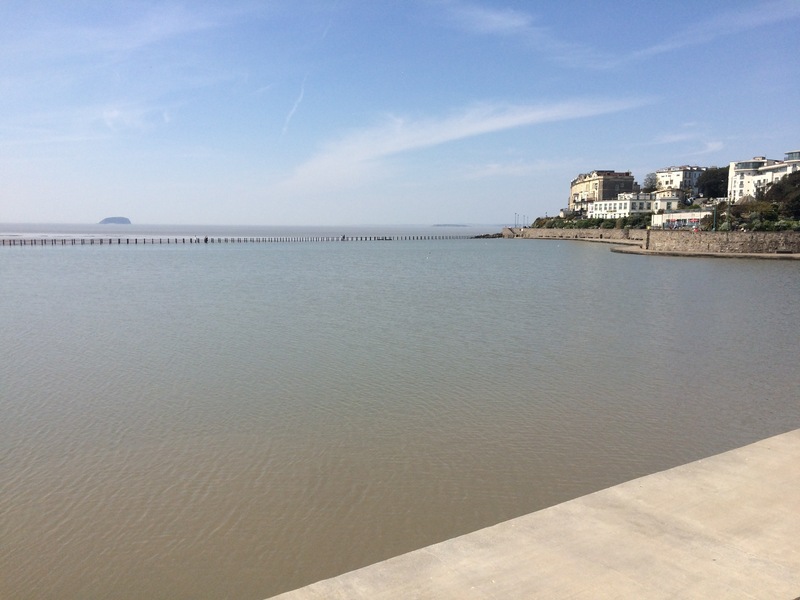 It was 1pm and very hot and sunny when I arrived at Weston sea front. 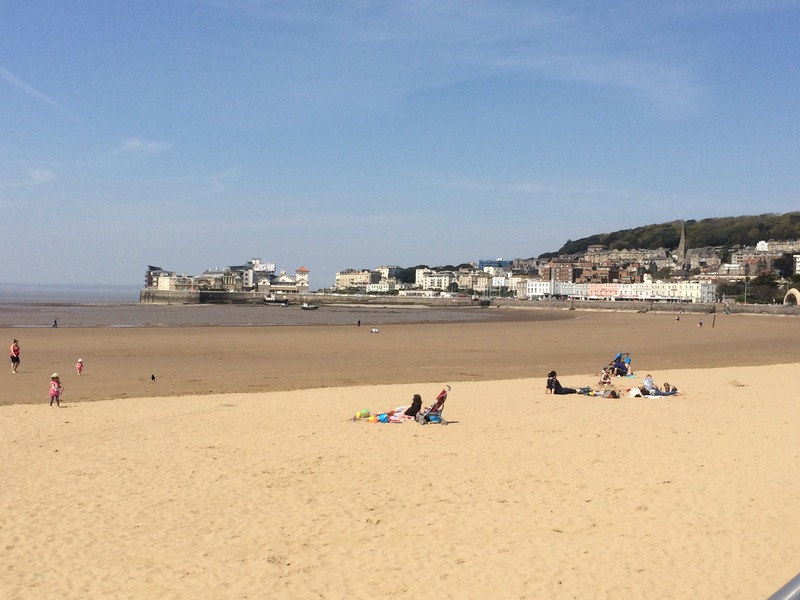 There was so much beach, and it was busy – lots of older people and parents with young children enjoying the sun. There was a fairground, a pier and donkey rides to be enjoyed, but not by me. 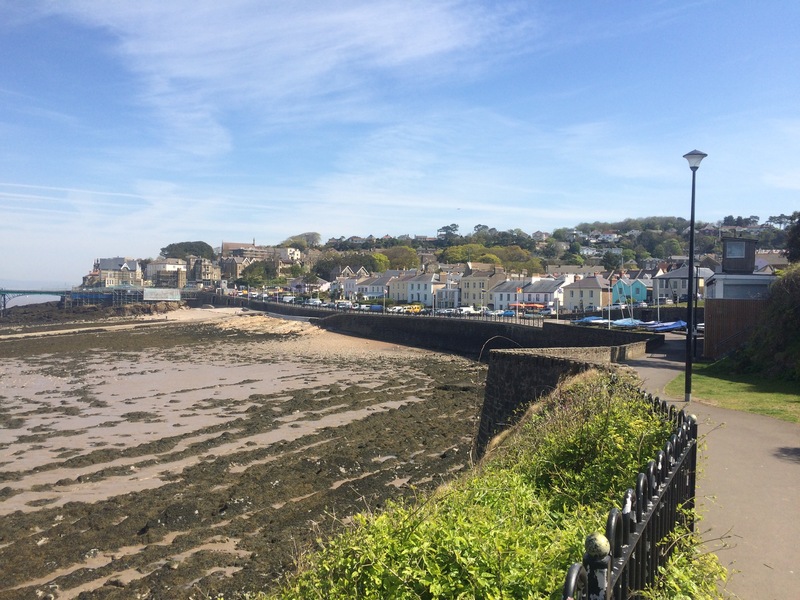 I applied suncream and sun hat and walked along the promenade. 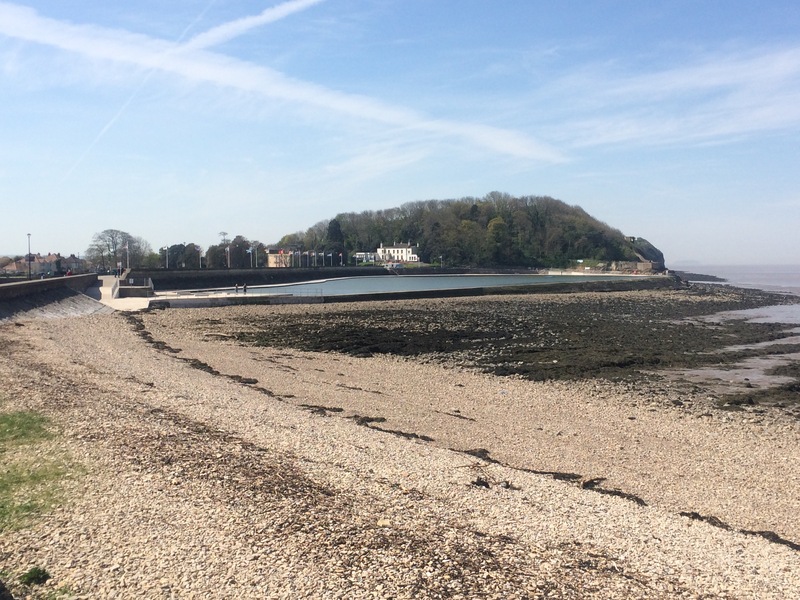 The tide was out and I couldn’t see the sea. 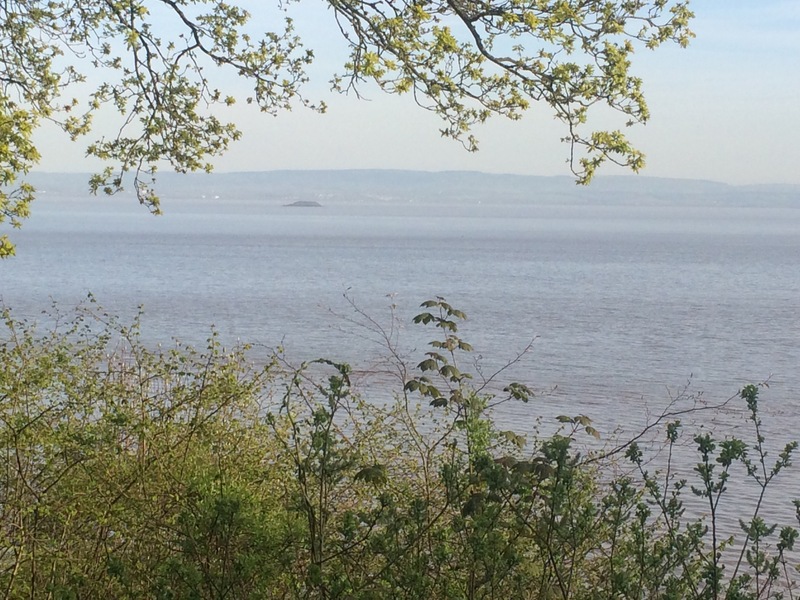 I walked past the pier and Weston’s Marine Lake, and around to Birnbeck Island at the point of the headland. The old pier to this island, and the old IRB station were just wrecks waiting to be dismantled or fall into the sea. Such a shame. 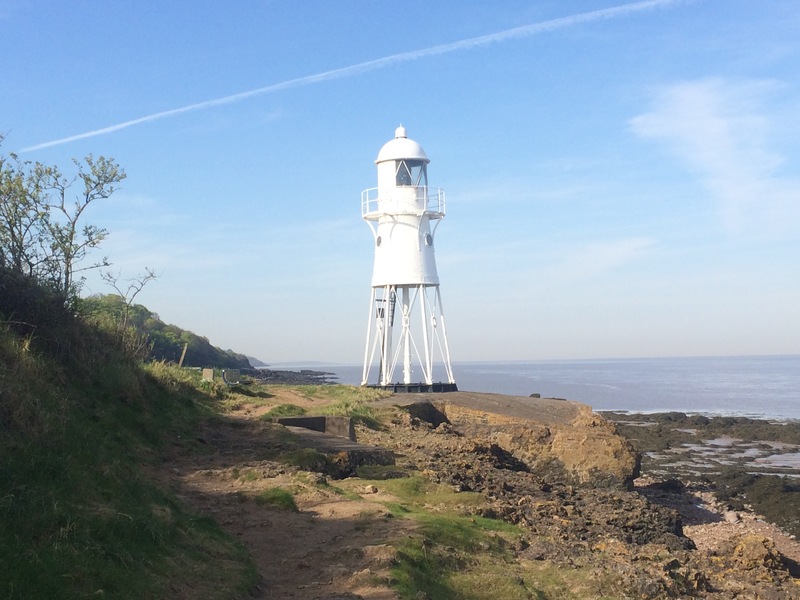 Worlebury Hill separates Weston Bay from Sand Bay to the North and I walked around it, via a path through the woods. 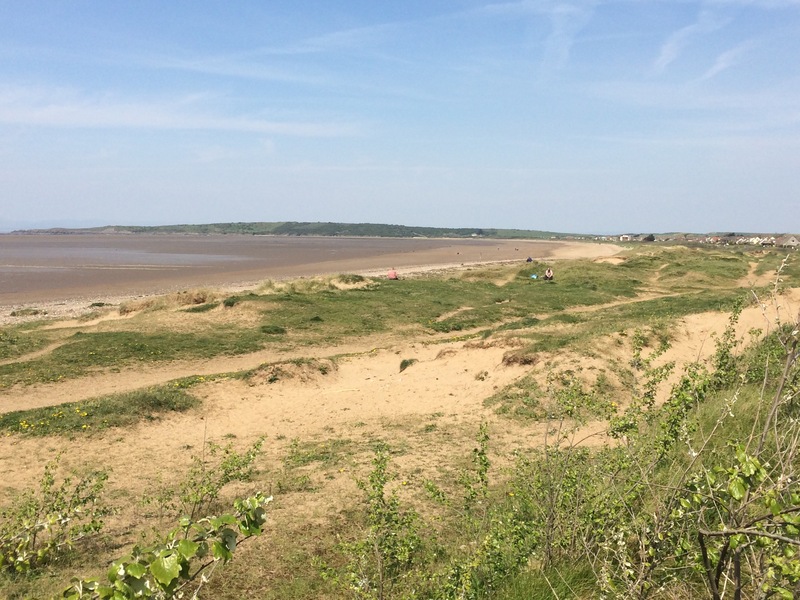 Sand Bay looked quieter and had dunes behind it, but still no sea. 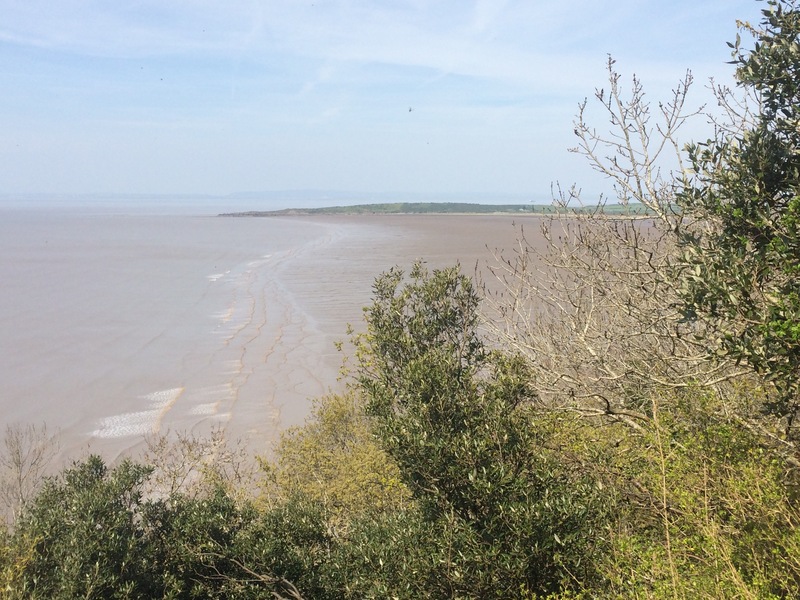 I stopped briefly at the pub for a cool drink and then headed up and over Worlebury Hill, through the woods and past the remains of an Iron Age fort, back to Weston Bay. ﻿I was staying with Laura’s friend, Claire, who had kindly offered to put me up for the night and cook me dinner. At the end of a long hot day I was glad to be inside for the evening and must have consumed a couple of litres of water. 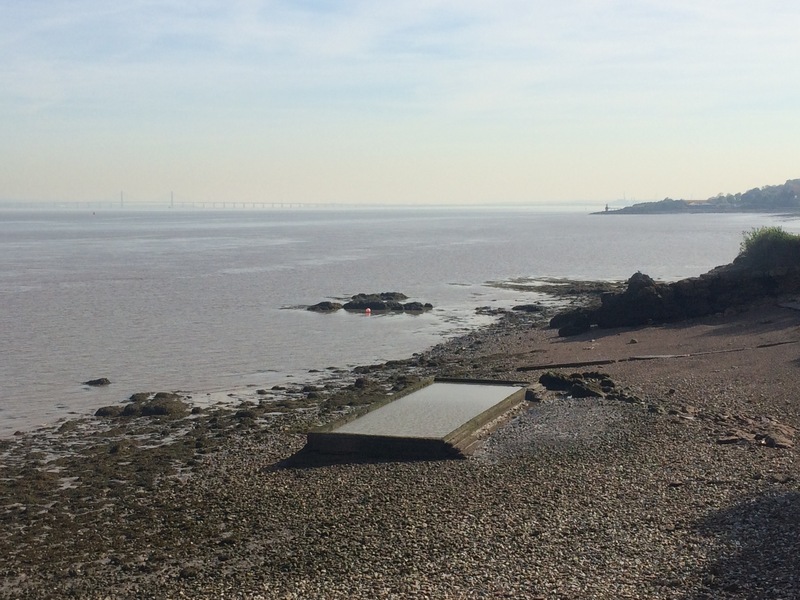 Excellent post Miss N you have a gift….you even managed to make industrial areas around Avonmouth sound attractive. Beautiful weather and more glorious scenary brilliant.